Early trailer added in the opening post. Its always so good to see Makoto! All movies with Kid are special to me, but maybe Gosho is over doing it with Kid x Shinichi for Ran. I must admit though, it gives us good laughs! Hello, it's me, Aoyama! This year's movie will be the first to(take place) overseas! Conan and Kid will be very active in Singapore! But the (main) highlight is indeed, Kyougoku Vs Kid! 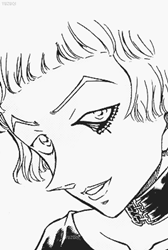 The strong Kyougoku, who feels (he's) in the wrong manga, and his flashy action! (See) it on the big screen! Kinda interesting that they aren't riding the Zero wave and giving him another movie next year, though I guess they are trying to not oversaturate him. Will guess he'll be back for movie 24 in 2020. And I still can't believe Kid vs Makoto is a legit rivalry now. So did Japan absolutely love Kid vs. Makoto like I did? Because otherwise it's very weird for such a relatively minor character the be the focus of a Conan movie. And by that I mean, some marketing guy wouldn't see this character as a way to make the this a notably successful Conan movie, so I assume they think this will get people to want to see it. Guest VAs for Movie 23 announced. It's been announced that Yamazaki Ikusaburo and Kawakita Mayuko will be taking part as guest voice actors in the 23rd movie "Detective Conan: Fist of Blue Sapphira". 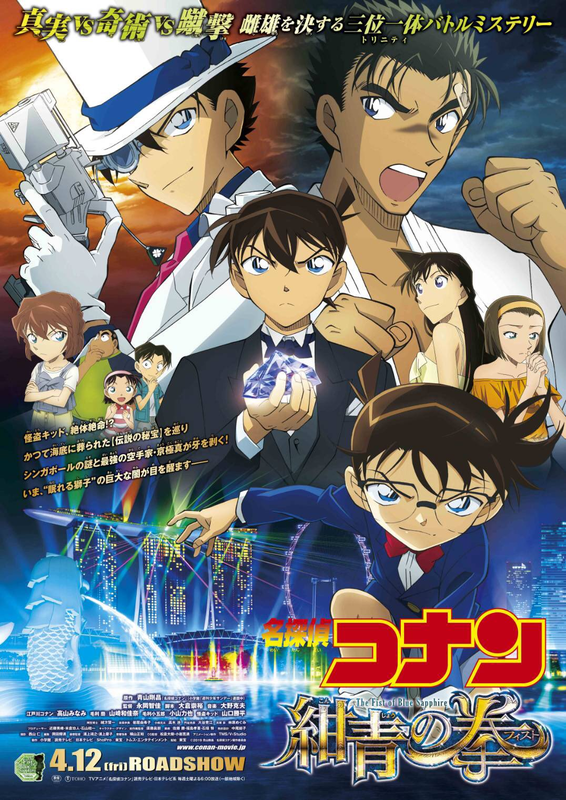 This installment of the TV anime "Detective Conan" movies is a story involving the "Fist of Blue Sapphire", the world's bigger blue sapphire, believed to have sunken into the seabed on the late 19th century. 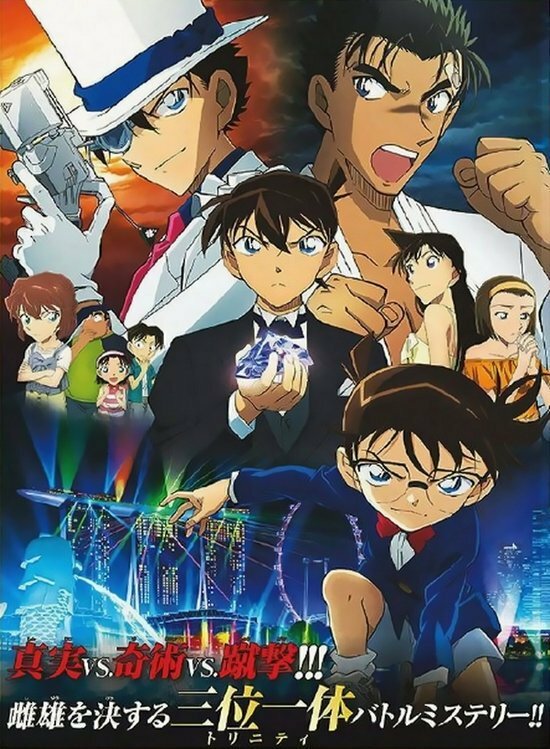 It depicts how Edogawa Conan, Kaito Kid and Kyougoku Makoto get dragged into a huge conspiracy in Singapore. 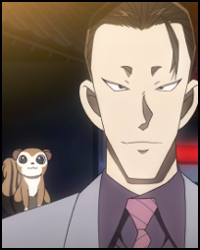 Yamazaki plays Leon Law, called "the Singapore detective" and who has two faces: that of the criminal behavior psychologist and that of the industrialist. Kawakita is in charge of the voice of his secretary, Rachel Cheong. Leon is a key character in this installment who'll antagonizing Conan. Yamazaki enthusiastically says "Conan-kun solves everything so I'd like to corner him when he's almost solved it". Most of Leon's and Rachel's lines have English on them so he places his expectations on his "pal", saying "I gotta work hard on those so please tell me about pronunciation and so, Kitakawa-san". On the other hand, Kitakawa was raised in New York so she's very confident in her English skills. "I'm better at English than Japanese so it takes off tension (laughs)", she says. "The previous movie, where my senior on the (voice acting) agency, Ueto Aya-san, acted, achieved an incredible record so (the staff) get a lot of pressured placed on them... (laughs)", so she stated. It's a movie that's a representative of Japan, so I was very happy when I was told the offer. Leon Law, whom I'll voice, is a criminal psychologist known as the detective of Singapore but he's actually an industrialist: he's a character with many enigmas to him but I think I'll voice him in an attractive manner. 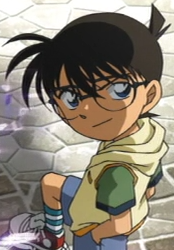 He'll be antagonizing Conan-kun, but Conan-kun solves everything so I'd like to corner him when he's almost solved it. When I was in 2nd year of high school, I studied abroad for a year in Missouri, USA, but I gotta work hard on my acting and English lines so please tell me about pronunciation and so, Kitakawa-san! This movie is set overseas so it'll be very fun. I'll play Rachel, Leon's secretary. I think she's a intellectual rule, since she can use both Japanese and English. I was born and raised in New York so I lived there until I was 16 years old. I'm confident with English! I'm better at English so it takes off tension (laughs). The previous movie, where my senior on the (voice acting) agency, Ueto Aya-san, acted, achieved an incredible record so (the staff) get a lot of pressured placed on them... (laughs) I'd be glad if everyone looks forward to this movie, too. Leon Law, whom I asked Yamazaki Ikusaburo-san to play, reads peoples' hearts and controls people as he wishes. He's plotting something big? He's suspicious. 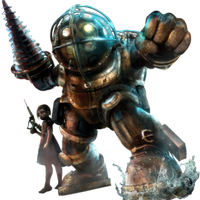 He talks both Japanese and English so it must be hard to play him (laughs). (Yamazaki-san) expressed his emotions with all of his body, his acting skills is very valued in the world of musicals. The English skill he cultivated during his studies abroad. He seemed to be a combination of both so all of us producers decided we wanted to ask of him (to do the role) and thus we offered it to him. I look forward to his passionate acting. Kitakawa Mayuko-san will play "Rachel Cheong", who's the loyal and beautiful secretary of Leon Law, played by Yamazaki Ikusaburo-san, skillfully controls both Japanese and English, she's a competent woman who's loyal and obedient. A beautiful woman who's proficient at English... We held a meeting over that and we producers agreed on that "it can only be her!". 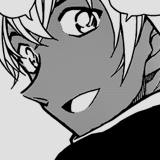 "Kitakawa-san, yes", that was the unanimous instant reply (laughs). Leon Law, played by Ikusaburo-san, and Rachel, played by Kitakawa-san. I look forward to the (voice) recording to (see) what new widths they'll bring to the movie. Kid: "I need your help this time around, Detective!" Conan: "A murder in Singapore..."
Conan: "A bloody notice card from Kid..."
Text: The legendary secret treasure "Blue Sapphire"
Conan: "The legendary secret treasure...!" Conan: "The strongest karateka with a streak of 400 victories..."
Conan: "Kyogoku Makoto, gets on his way!" Kid: "Huh! What are you doing here!?" Conan: "Kid...Why did you bring me here...?" Kid: "Guess the contents, Detective..."
Kid: "The contents of this mysterious () called a "murder"..."
Text (vertical, from left to right): "Magic, Detective, Kick"
Detective: "I think we'll solve the issue with Kid soon enough"
Text: "A huge "darkness" springs into action"
Sonoko: "I don't want a man full of lies to protect me!" 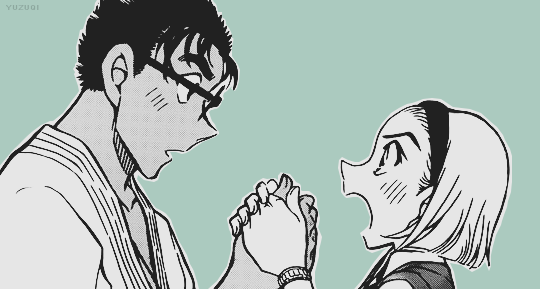 Ran: "Hey, Shinichi...We're a couple, aren't we?" Conan: "I know that you're the mastermind behind this!" Conan: "The legendary secret treasure buried in the seabed..."
Conan: "Will awaken the "darkness" of Singapore after a long time...!" Conan: "Don't tell me that he---!" Makoto: "Please! Don't get away from me again!" Text: "Is coming to an end"
Kid: "Stealing treasures is my job!" Conan: "Detective Conan, the movie!" Kid&Conan: "The Fist of Blue Sapphire!" Conan: "How about you tell me already..."
Conan: "The true meaning of you dragging me here..."
Makoto: "Please, stay with me!" Conan: "Their aim is the legendary secret treasure!" Conan: "I know that you're the mastermind!" Kid: "The contents of this mysterious fist named "murder"..."
Conan & Kid: "The Fist of Blue Sapphire!" That kick looks painful, when you realize that Makoto can destroy pillars with punches. Two days before its release, the Original Soundtrack’s track list has been published. Katsuo Oono, about to turn eighty(! ), has delivered fifty-six new compositions—two more than for Zero The Enforcer a year ago, but nine less than for The Crimson Love Letter two years ago. Since the overall duration is only about fifty-one minutes, the average length per composition slips to a good fifty-four seconds, down from one minute and ten seconds (Zero The Enforcer) and even fifty-seven seconds (The Crimson Love Letter). I’m curious if 8. Kaitou Kid ~The Fist Of Blue Sapphire Version~ and 17. Kaitou Kid~The Fist Of Blue Sapphire Version~ 2 are indeed new versions of Kaitou Kid’s original theme Kaitou Kid Appears that was introduced in The Last Magician Of The Century twenty years ago. Without having heard any of this, I do appreciate the clean and simple nomenclature because it hasn’t always been like this, and for some reason, I have a hunch that Mind Control, which has been given no less than three different versions, will turn out to be interesting. As always, the music will probably be far better than the movie. Last edited by Valentin on April 14th, 2019, 9:06 am, edited 1 time in total. Once more, it’s a pretty different approach. The nostalgia trip continues: after the sax made its comeback last year (and is still around), now it’s trumpets and horns that revive the vibes of The Time-Bombed Skyscraper and The Phantom Of Baker Street. Having listened to this version a few times, however, I must say that it can’t quite keep up with the previous two. Still, I do like the instrumental diversity and think it’s really good overall. I can’t wait to hear the rest. Thanks for your contributions, Valentin. One thing: couldn't you reformat the OST list to put the translated name below the japanese name? I think it'll be easier to read if you do that instead of this 2-column format. Misztina wrote: At least the title is more translate-able than last time's. I still don't get it. Zero the executioner? What the...? How "eyecutioner"? I watched the movie and still have no clue. You need to stop thinking that a word in Japanese corresponds to only one word in English. Look up the word 執行 (shikkou) in any Japanese to English dictionary, and you'll see that the word translates to "execution", "carry out", "performance", "enforcement", "exercise", or "service". In this case, "enforcement" is the word that applies. Add 人 (nin), meaning "person", to the end of that and you get "enforcement person" or "enforcer". Thus you get the official English title of "Zero the Enforcer". I'm pretty sure the "Zero the Executioner" was just someone's early hack-job of a translation that ended up getting spread around before an actual translation of the movie came out.